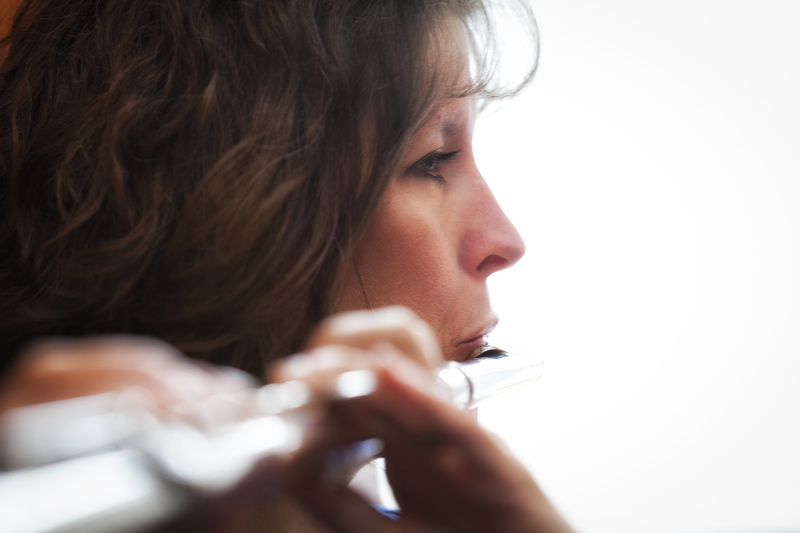 I Hate Practicing | Wild confessions of a professional flutist. Wild confessions of a professional flutist. My flute student, Kelly Makechnie, gave herself a math manicure before a recent math team competition. The next day, she had a flute lesson. Does music make you smart, or do smart people play music? I often wonder about conversations doctors have with their patients, especially follow-up conversations. I imagine a patient visiting the doctor to deal with some sort of ailment. The doctor gives a diagnosis, then prescribes a course of action. A week later, does the conversation sound like this? PATIENT: Not good. That toe is still infected. DOCTOR: Did you take the prescription and apply the cream? PATIENT: I tried to. . . DOCTOR: So, you didn’t do it every day? PATIENT: No. Just once or twice. DOCTOR: Well, do it every day for a week, and you’ll see improvement. If you don’t take your doctor’s advice, you won’t feel better. If you don’t take your mechanic’s advice, your car won’t run properly. If you don’t take your carpenter’s advice, your roof will still leak. If you don’t take your trainer’s advice, you won’t get those rock-hard abs. And, if you don’t take your flute teacher’s advice, you won’t have gorgeous high notes, or control of your pitch, or perfect rhythm, or the ability to play that technical passage. People who worked hard to follow the expert’s advice, when asked if they had done the exercises, always respond with, “Oh, YES! I did them every day!” They then go on to explain what worked, what didn’t, how they felt about the assignment, and how they scheduled it into their routine. No one works on something every day for a week, then says that they “tried to” do it. They DID it! And, because they did it, they probably have very strong opinions about it and want to discuss the outcome. I was delighted to stumble upon this wonderful post by a high school English teacher. As it turns out, my students aren’t the only ones who think starting a “random” conversation will save them from doing actual work. And, I am not the only teacher who believes the tangents are worth the time. You see, (I won’t go so far as to insert any of the student names here. . .), I know what you are doing. The joke is on you! Thanks, Mrs. Roberson. You rock!! Flute Students, Read This Post! Ah, practicing. . . It’s the thing we hate to do but are completely dependent upon. What an interesting problem – in order to be successful at something we love, we must consistently do the practicing we do not love so much (to put it politely). There is good news, however! Learn to practice well, and the results will be so fabulous you will become hooked on the process and practice time will become something to look forward to. It happened to me, and it happens to my students! How does one find the time to practice? For starters, please understand that no one can do everything (an unpopular viewpoint in this 21st century). Anyone who attempts to be on a varsity sport, and in the school play, and in another club, and in a youth group, AND play the flute, will only be able to scratch the surface of each of these activities, and they all will suffer. It is essential for each of us to prioritize our activities based on our personal goals and time requirements. If you love softball, but want to become a professional flutist, perhaps the weekend softball club at a local gym is the best answer. If you hope to compete on a college level swim team, be realistic about how much time you can commit to flute lessons and practice. Once you have evaluated your schedule, figure out how much practice time is necessary. My recommendation is SOME EVERY DAY. It is more important to get used to a daily routine than it is to fret over specific time allotments. That having been said, a great guideline for your daily practice amount is the length of your private lesson. A student who takes a half-hour lesson will do well by practicing thirty minutes per day. Students who take longer lessons should generally practice longer. But remember, the first goal is to get into the routine of doing SOME every day. TONE: Do five long tones in a row EVERY DAY. Even if you only have five minutes available for practicing, this exercise is the one that should never be skipped. A good long tone should be done on any note which is easy for you (I like low G), very quietly, for as long as you can possibly hold it and then some. Time them. Then, do a few quiet octave slurs – that will get your embouchure moving. TECHNIQUE: Figure out the chromatic scale (three octaves) and every major scale in chromatic order. Do not try to learn them from the written page – just close your eyes and figure them out. Even if you learn only one or two per week, you will memorize them permanently if you figured them out in your own head, and the finger patterns will be mastered. Play every scale every day. Be as virtuosic as possible. REPERTOIRE: You and your teacher will choose the repertoire (and etudes!) which are most appropriate for your level. I will give you one tip for clearing up any tricky parts. Circle (with pencil) the spots that are difficult, messy, annoying, etc. The next time you practice your repertoire, DO NOT start at the beginning. Start by drilling everything located within a “nightmare circle.” This routine will actually clean up problems. And if you have only a few minutes available, solving one of the circles will be much more beneficial than playing the pretty parts or staring into space. OTHER: This category contains any other projects that you may be tackling with your teacher – double-tonguing, rhythm, vibrato, sight reading, etc. There are many, many variables in this category, so instead of specific advice, I will take this opportunity to recommend Trevor Wye’s Practice Books for Flute. They are absolutely indispensable. Practice time can be a challenge, but learn to do it efficiently and the work will pay off. As Mr. Wye says in all of his books, “It is a matter of time, patience, and intelligent work.” And it will all be worth it when you hear that applause. Photo by Kathy Joyce Photography. Have you ever had a bad performance? One in which you aren’t sure whether to keep hacking through or to stop and start over? I find that performers often feel crushed by such an experience and then wonder if they can ever move past it. If you know me well, you know that I have a strange and intense obsession with Cat Stevens (and not just because I was born on his 17th birthday!). I grew up with his music and was too young to understand why he walked away from his musical career (my mom told me that he had joined a cult). I have been enjoying his new music as Yusuf Islam and have been thrilled to learn the truth behind his career change and the beautiful life he has been living. So, you can imagine how thrilled I was to hear that Cat Stevens will be inducted into the Rock and Roll Hall of Fame in 2014. To celebrate, I wanted to recommend a video for students and families at my music school to enjoy. One of my favorite songs of his is Bitterblue, so I looked for a video to recommend. Although I have seen them all a million times (seriously), I had somehow forgotten about the amazing lesson contained in one of the videos. Follow this link to see the video – I strongly recommend that you do so with the volume cranked up. And, while you’re at it, give yourself plenty of room for dancing (even if you pretty much just flail about like I do. . .). This performance is perfect for all of us (performers, students, teachers, music fans, ALL OF US) to watch in its entirety. It is a live performance, but Cat had to restart the piece because he “messed up” – twice! We performers and students of the art form often feel like failures after a less-than-perfect performance, and as audience members we are often quick to pass judgement on a musician who has a bad day (or bad moment!). While watching this Cat Stevens video, keep two things in mind – he never gives up (and the final try is fabulous), and he went on to be chosen for induction into THE ROCK AND ROLL HALL OF FAME. Remember: a bad performance or lousy audition is not your defining moment. Put it behind you and move on. One of my students took a pottery class this fall and hand-made this bowl for me as a Christmas gift. Not only is it lovely, but she knows that I collect pottery and handmade items, so she knew I would love it. Even better is the feeling of knowing that she was thinking of me while she created this piece. Thanks, Sara Ghika, you are awesome. STEM: Science. Technology. Engineering. Mathematics.